Scotair17, Ayr Beachfront Airshow 2017. 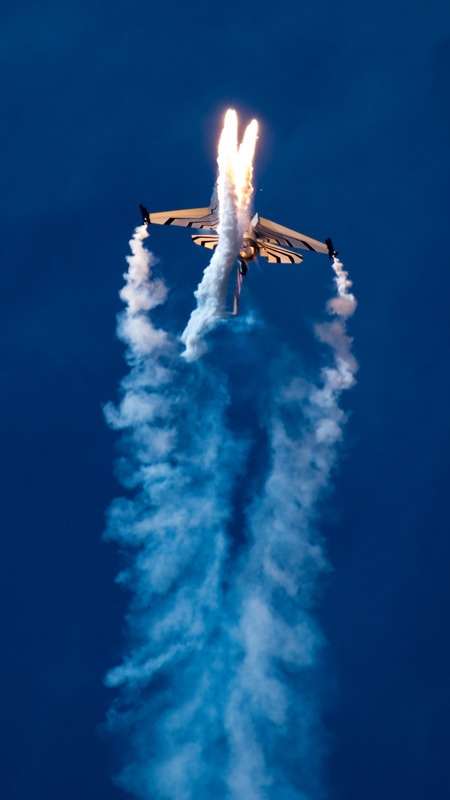 Scotair17 is the snappier title for the Scottish International Airshow held at the weekend at Ayr, prefixed with a hashtag it snapped, tweeted and Faced its way around the social media channels, helped along by West FM radio. Happily the weather held on Saturday and although Sunday was pretty dreich there was still a flat display by numerous pilots keen not to let the crowds down. With the total loss of our only other significant airshow at East Fortune this year due to incredibly low cloud and heavy showers, the staff and display teams who brought Scotair17 together saved us from the aviation DT's and I for one am truly thankful. Ok, perhaps not so little and certainly impressive, my wife's addiction to Hercule Poirot has got under my skin. Captain Tom De Moortel opened the show on Saturday with a high energy display flown with real flair. (See what I did there?) His callsign is "Gizmo" but there were no gremlins in this show which was nice and tight and closer in to the crowd line than some. Safety concerns tended to push display lines further away last year but I am happy to report that the organisers at Ayr and many of the pilots this year brought it back in and down so we could have a proper look. Thanks guys. There is nothing more frustrating than watching a dot in the distance, of course safety is important but we were in danger of losing all of the atmosphere of the show. Gizmo was close enough for us to feel the vibrations from that mighty engine in our chests. This is Gismo's third year as a display pilot in the F16 and his last in the Belgian Air Force as he is retiring at the end of the season. Very best wishes sir, whatever path you choose for the future. It is undoubtedly a mark of quality that the team behind #Scotair17 have been able to attract displays from NATO partners, the growth of the event is clearly inspiring confidence and commitment. An estimated 110,000 visitors at Ayr on Saturday alone makes this year the biggest yet. This is where it all started for me. Aircraft like this one come up for sale occasionally although they are becoming rarer with age. It is more likely that you will find a share in one for maybe around £2000-5000 depending on aircraft condition and group size. Flying costs are about £100 per hour all inclusive, significantly less than many club aircraft with less character. When you have had enough you can sell your share and recover your investment. I had my first flight in one of these with the Air Cadets when I was 14 and I was hooked for life. At that time the De Havilland Chipmunk was still in service with the RAF, not just for air experience flying either. There was one based at RAF Gatow in Berlin, exercising the UK right to fly over the city at the height of the cold war. The Scottish Aviation Bulldog had taken over as the basic training aircraft for all three armed services, but these elegant and graceful little machines still did their bit. This particular Chippy is part of the Royal Navy Historic Flight based at Yeovilton. The pilot spends his working days flying Wildcat attack helicopters from the decks of warships and does this for fun at the weekends, a fine job he does too, especially on Sunday in marginal weather. The military clearly offer the best opportunities to get into aviation, actually paying you to learn. Needless to say competition is fierce so you have to be sharp and there are downsides. They look for a significant commitment of time and may ask you to get shot at while at work. You can try out the light version without the shooting while at University through the University Air squadron. Flying is free and it can be a way into a full time career if you like one another. Disclosure. I have not been paid for any endorsement, content or links on this page. I do however subscribe to a service that adds sponsored links to the text after publication which is paid by their clients and changes from time to time. I will specifically tell you about which links I recommend. Unless I do then links do not necessarily mean that I endorse the product, site or link highlighted, I leave it to you to make up your own mind about those. That said I do recommend the services of my web host SBI! for whom I am an affiliate. If you like the idea of creating your own website for your own passion, you can use the link below and I will receive a small commission from SBI. They pay my commission, it does not get added to the price of your package. Thanks, Jim. If you love flying and would like to be first to know about what's going on subscribe for e-mail updates. They will not swamp you and I never pass on your details. Clearly a massive crowd at Ayr seafront shows that there is a significant interest in flying in the West of Scotland. 100k people can't be wrong, that does not include those who stayed clear of the congestion and went to Prestwick, Troon and the Heads of Ayr either. It was clearly not just the thought of a free day out by the beach in the sun either as there were still significant numbers on Sunday in the rain. 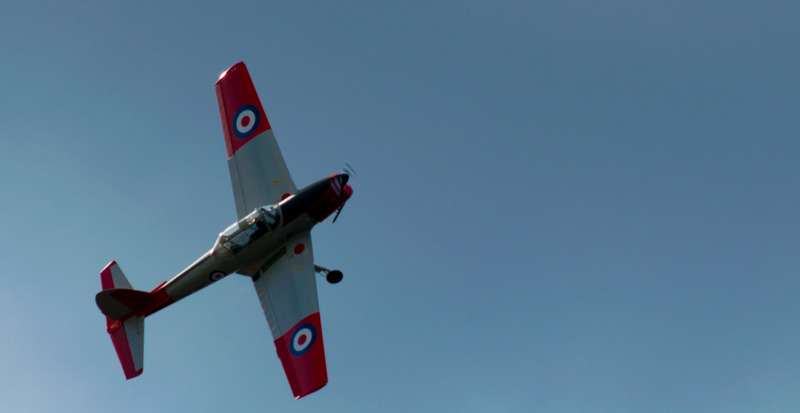 It is easy to see the appeal of powerful fast jets but the Chipmunk, the Dragonfly and the autogyro all held the attention of the crowd while moving much more slowly without pyrotechnics or noise. Is it perhaps that those aircraft are more attainable? There was a real theme from the commentary box, one which I share, the desire to inspire people, especially teenagers to get involved in flying. 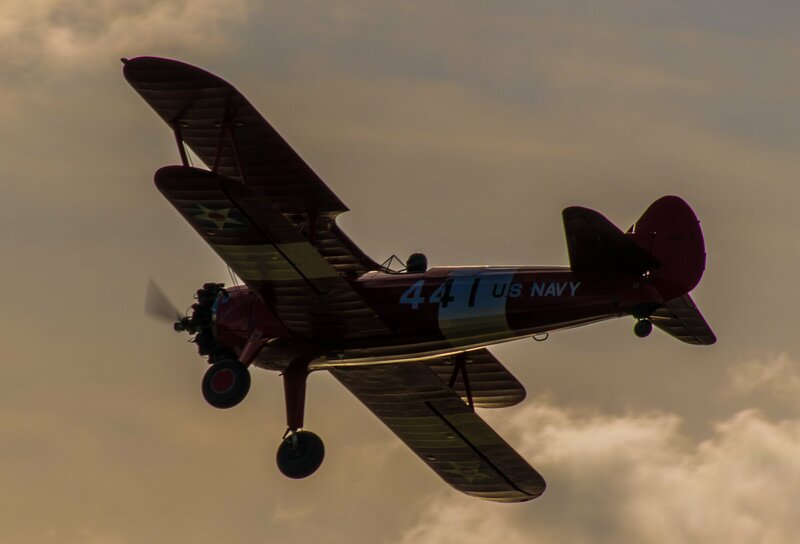 That said it is never too late either, Sue flying the Boeing Stearman in US Navy colours is a grandmother and a display pilot. 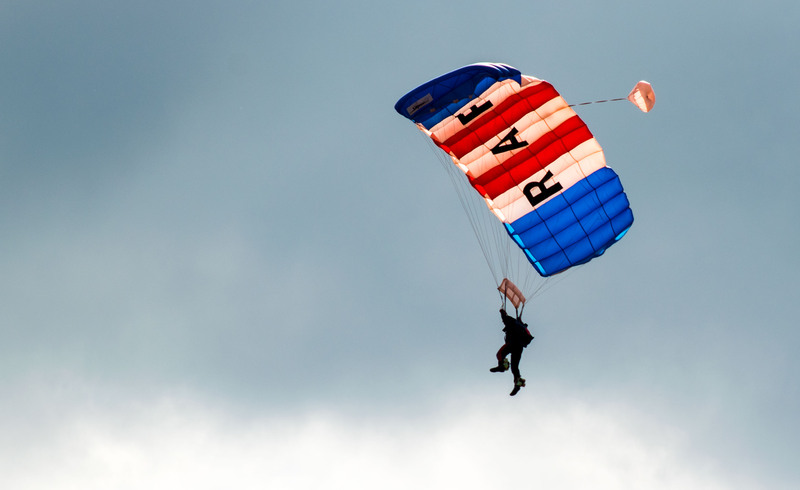 The RAF Falcons Parachute Display Team were very popular on Saturday. 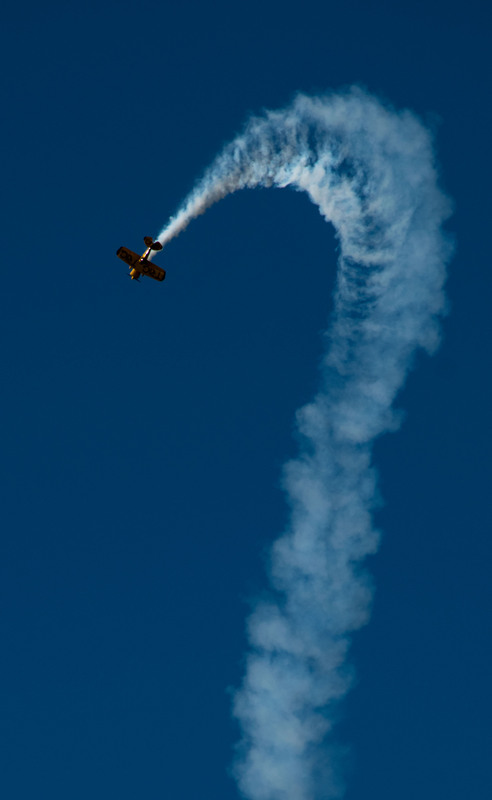 Lauren Richardson, flying her Pitts special in a neck wrenching aerobatic sequence was the British female aerobatic champion in 2012. These ladies took up flying at their local flying club and have gone on to earn a living from doing what they love. Lauren has just announced her engagement and is working towards doing her commercial pilots licence to fly airliners. Who says you can't grow up and be a pilot? Scotair17 also provided opportunities to explore possibilities with exhibitors. Tayside Aviation explained how it is possible to access a flying career through university funded schemes. Loganair have an accessible range of career opportunities in the airline industry from engineering to cabin crew, they are also known for developing staff internally. New kids on the block ACS Aviation and Pathway 2 Pilot both provide training at a much more affordable scale. Standards cannot be compromised as all accreditation is still carried out by the Civil Aviation Authority, competition can be a good thing. It is possible to drive costs even lower, especially for recreational flying and that's something I will be exploring in much more detail in the coming weeks. 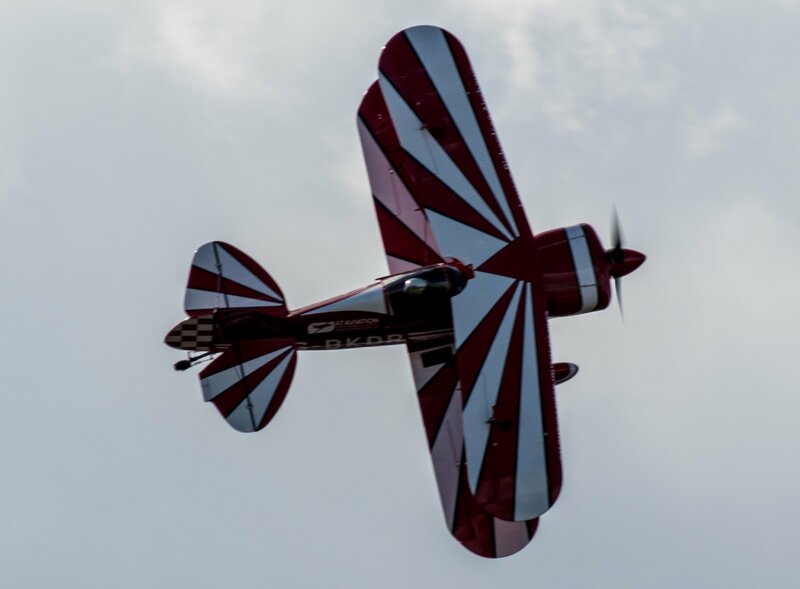 Airshows attract a huge cross section of interest from families, cadets and photographers to professionals in the aviation world both serving and retired. I met some fascinating people this weekend and I'll be bringing you their stories soon so I hope you will follow this blog and get in touch through Facebook. 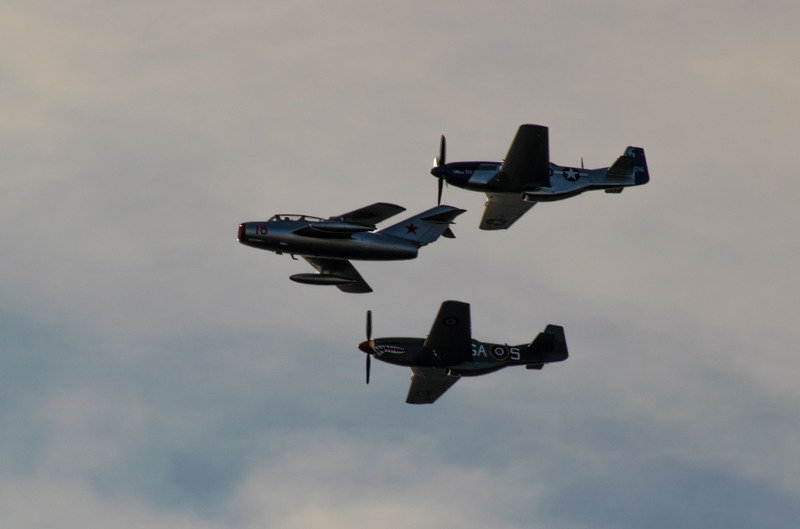 This incredible formation of two Mustangs and a Mig 15 highlighted the transition of combat aircraft from piston engine to jet power with a set piece based on Korean War encounters. The jet outclassed the others in terms of performance but skilled pilots still held their own. The ability of the team behind the Scottish Airshow to bring this together is remarkable, all the more so as they do not generate revenue through ticket sales as the show is free. Why do they do it then? The reasons are largely altruistic, they do it for the economy of the town of Ayr and the surrounding area. The team comprises local businessmen and aviation professionals, notably from the realm of air traffic control, they give a great deal in terms of time and emotion for little personal gain. It is said that givers gain in the long run, you have certainly gained my respect and thanks. I trust that the cost will not be too high for you to continue and that your gains are worthy. If you have an interesting experience or trip why not share your story? Pilots and enthusiasts like nothing better than a good yarn. Whether it is about a trip away from the local area, a near death experience or a funny comment over the radio. Let's hear your story and there will be a prize for the best one every month. South Camphill Farm, Dalry, Ayrshire. Pilot Scotland exists to support all forms of aviation and to bring people together.